The 6 Tool Baseball School strives to develop the individual God given physical, mental, emotional, and spiritual talents of its players, and through sportsmanship, team competition, and fun encourages responsibility, compassion, and excellence in all aspects of performance. We strive to develop the individual God given physical, mental, emotional, and spiritual talents of our players. Through sportsmanship, team competition, and fun we encourage responsibility, compassion, and excellence in all aspects of performance. It’s NOT about your son’s batting average. It’s simply about the quality of his at bat! The goal we try to teach is to make hard contact while at the plate which doesn’t always necessarily mean he got a hit! We believe in playing “up” in age and against better competition for certain players and not always for the entire team. For example, a nine year old contributing to a winning effort on a 10U team makes sense for that particular nine year old. But a team of nine year olds that goes 2-14 on a 10U team will find it very difficult to focus on something other than winning. That in turn affects confidence which has a direct impact on a winning attitude and culture. Therefore, players and teams will be placed in the appropriate division/team based on their particular skill set. While we prefer to compete at the premier level, we do not want to set up our players for failure. We will also strive to keep “core” groups of players together ONLY if it makes sense for all involved. We provide each player with the opportunity to learn, develop, and improve their baseball skills. We teach each player how to practice and prepare. We provide each player with an atmosphere that encourages mental, social and emotional maturity. We teach each player the importance of dealing with adversity and failure. 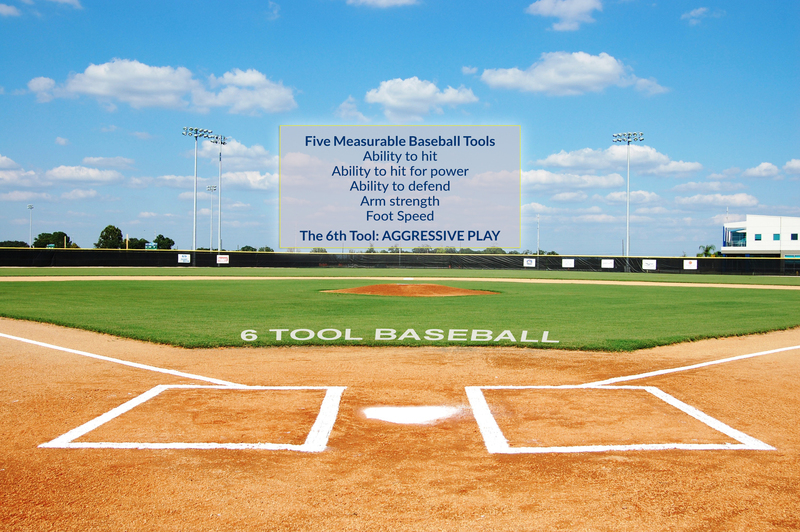 We help players be ready for the next 6 Tool level, high school baseball and beyond. We help the boys balance individual development and winning. In league play, coaches will attempt to give every player an equal amount of innings. Opportunities will exist for all and versatility will be encouraged. The emphasis will be on experience and development. In tournament play, coaches will coach and manage with the emphasis placed on winning. Playing time will not be equal and the coaching staff will play those that give the team the best chance to win. Player positions will be determined by the coaching staff based on each player’s skill set. Versatility and the ability to play more than one position at the developmental stage is important, so the staff will encourage it. Most little league programs offer an outlet if you are looking for a better opportunity to have rotational lineups allowing each player a chance to pitch, play short stop, bat first, etc. This is very important and often forgotten by parents with travel-squad players. Winter workouts begin in January or February and lasts for about 10 weeks. The baseball season begins in April and ends in July. The number of practices and games per week are set by the coach. You can expect 4-9 weekend tournaments in addition to 14-16 league games. 6 Tool Baseball believes in multi-sport participation. While we take what we are doing seriously, ages 8-14 is too young to specialize in one sport. If conflicts are projected please communicate that with the coaching staff. Together we can figure out what is best for your child and the team.